Denis MacShane is a former Labour MP and was UK’s minister of Europe under Tony Blair. He is the author of Let’s Stay Together. Why Yes to Europe. This week Gordon Brown turned up in Brussels to make the positive case for Europe. Now he is speaking out for Remain in Britain. One can wish him well. When I worked for Tony Blair at the Foreign Office as a parliamentary private secretary and Europe Minister 1997-2005 I helped with writing some of his words on Europe. He made strong, eloquent speeches in support of European Union cooperation and integration. But he made them in Paris, in Warsaw, in Brussels, in Aachen and in Madrid. I used to ask when he might make a speech explaining the benefits of EU membership to the British people – the kind of speeches that David Cameron and George Osborne have been making with far more passion than any Labour prime minister or senior cabinet member managed before 2010. Blair did finally make a pro-EU speech in Cardiff but the text was only released at 4 pm, far too late in the daily news cycle, so it got no coverage. He was swimming against the tide of increasing Euroscepticism as manifest in the Conservative Party under William Hague, Iain Duncan Smith and Michael Howard after 1997. Blair also faced relentless anti-European journalism in the mass circulation Middle England newspapers. He had committed to a referendum on euro entry which he knew he would never dare hold. Many attribute Britain staying out of the euro to the five economic tests announced by Gordon Brown. That was a red herring, a traditional Whitehall delaying tactic to pretend a decision is being seriously examined when every serious player knew it would not happen. Had Blair risked a plebiscite on euro entry after 1997 he would have re-invigorated the Conservative Party, lost the support he had from Rupert Murdoch, divided Labour and lost the vote. No-one in the higher reaches of the Labour government ever thought a euro entry plebiscite was possible. Today, David Cameron sounds like Tony Blair on speed as he extols the virtues of the EU as a peace project, as essential for the UK’s economic future, as a nirvana of liberal trade and open markets, essential to the UK’s geo-political role and where Britain has all the vetoes and protections that anyone can desire. He would say that, wouldn’t he? His career will come to an abrupt end if he loses the massive vote of confidence which he has called on 23 June. But what happens after 23 June assuming Remain wins? 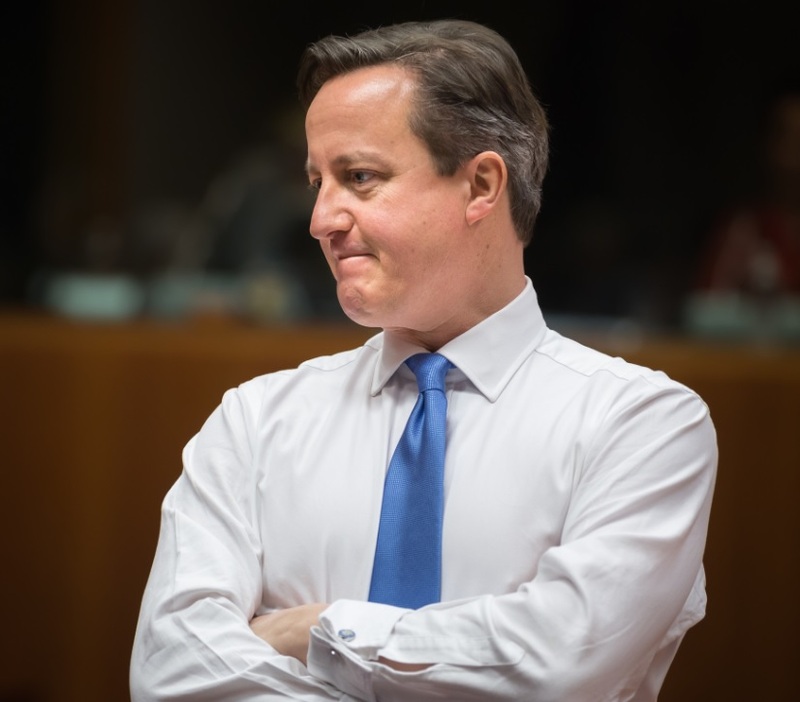 Does the prime minister drop all his positive words about the EU? Does he return to the old normal of a truculent hostility to supporting measures of EU cooperation and integration? Does he try to veto any measures the eurozone feels it has to adopt to make the single currency area work more efficiently? Does he take on UKIP and the anti-Europeans in his own party? Does he encourage the Confederation of British Industry and the British Chambers of Commerce to be more positive about Europe, like their sister business organisations on the continent? Or will they revert to the endless blame game against the EU that most of the business and City community have indulged in for the past 15 years? A David Cameron with a victory over Brexit in his pocket will be in a powerful position in Europe to lead reform and renewal. But if he chooses to revert to castigating Brussels leaders like Jean-Claude Juncker, or once again to play to the Eurosceptic gallery, most will conclude the referendum was a pointless exercise and Britain is destined to remain forever on the margins in Europe. Denis MacShanes opinions stopped being relevant when he thrown out of parliament & jailed for fraud. Cameron leading reform in Europe sounds like believing in Santa Clause, or the return of Christ perhaps. War will break out before that happens. But there’s no reason to worry about that as Britain will remain incapacitated by the issue whether the vote goes this way or that. Given the way the political parties are split over the referendum, one can only hope that whatever the outcome, our political system undergoes a much needed reform. Our politicians generally don’t inspire much confidence or trust in the people they expect to vote for them. For what we pay them, they are currently not value for money. Something needs to change. Regarding Cameron, specifically, he will be fighting for his political life, regardless of the outcome. No great loss. He’s the worst PM we’ve ever had.